Regular breast exams are important to identify any changes in a woman’s breast that might indicate cancer. Identifying these changes as early as possible allows women to receive prompt, effective treatment. 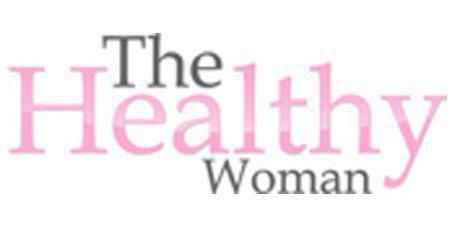 Dr. Jocelyn D. Slaughter offers breast exams to patients at The Healthy Woman. This service is available to patients throughout Snellville, Georgia, and the surrounding area. During a breast exam, Dr. Slaughter looks at the appearance of a patient’s breasts and feels them to check for lumps, thickening, and other signs of problems. Dr. Slaughter normally performs the exam when a patient visits for an annual checkup. Why are breast exams necessary? Approximately 1 in 8 women will develop invasive breast cancer at some time during her life. Because the risk is so high and the disease can be so deadly, women need to do everything they can to catch this illness early. In most cases, the early stages of breast cancer are curable. Regular breast exams can catch cancerous tumors before they become large and invasive. During a breast exam, Dr. Slaughter looks at the patient’s breasts for signs of discoloration, skin changes, swelling, or other abnormalities. She also palpates each breast carefully to look for lumps that may be cancerous. Breast exams shouldn’t be painful. However, some women with sore breasts may find the exam uncomfortable. If a patient experiences pain during a breast exam, she should inform Dr. Slaughter. What happens if Dr. Slaughter finds a lump? If Dr. Slaughter finds a lump during a breast exam, she may recommend further testing, such as an ultrasound or a mammogram. Depending on the results of these tests, the patient may need a biopsy. Breast lumps aren’t always cancerous. Many lumps found in the breast are fibroadenomas or cysts that won’t require any further treatment. However, Dr. Slaughter recommends investigating every lump to rule out cancer. Are breast exams a substitute for mammograms? A breast exam can identify changes in the breast. However, it isn’t a substitute for a mammogram. Women who are age 50 or over should get an annual mammogram regardless of whether they’ve had a breast exam. Younger women may also need mammograms if Dr. Slaughter discovers a lump during a breast exam or if they’re at a higher risk of developing breast cancer than the general population.